What is Conquer the Uncharted? Heart-stopping adventure – as fans of Nathan Drake’s incredible antics, we clearly all crave it. That elation of achievement against extreme odds. Which is what Conquer the Uncharted is all about. Here we showcase real life moments that would do Nate proud. From gruelling challenges to death defying feats, we will follow a variety of fearless individuals risking everything to achieve dazzling world first tasks, all inspired by Naughty Dog’s mighty action adventure series. We all want to push the boundary of play – so join our steely pioneers who are truly diving into uncharted territory, with more to be revealed in the coming months. 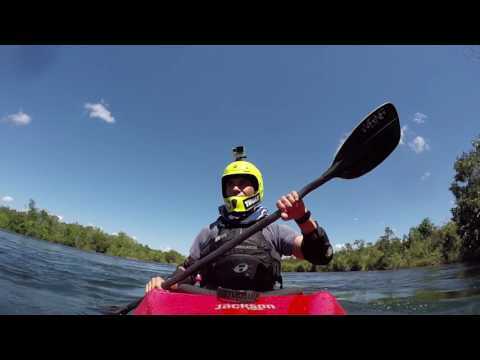 Pedro Oliva is a professional kayaker with a taste for adventure. And having defeated the Brazilian record with a drop at the Mississauga falls and setting a new world record kayaking the 127ft Salto Belo falls in Rio Sacre, he was champing at the bit for something else. Something which had beat Pedro before. Back in 2011, he attempted to kayak over the powerful 82 foot high Juruena waterfalls in Mato Grosso, Brazil – but turned back, afraid to propel himself over the edge. This time, returning to the Juruena to carry out his own uncharted adventure, Pedro is determined to conquer his fear. Witness his adrenaline pumping paddle through white water rapids to a deadly drop that would test even Nathan Drake’s crazed courage. 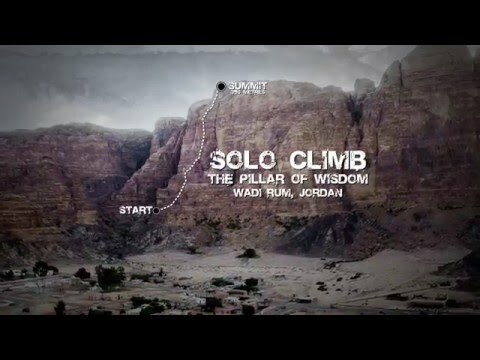 Leo Houlding, the face of modern British adventure, has his sights set on becoming the first person to do a “free solo” (ropeless) ascent of Jebel Rum, the iconic and staggering 350-metre high cliff above the village of Wadi Rum in Jordan. With its Bedouin tribes, wild camels and Martian-esque landscapes, Leo considers the breathtaking Jebel Rum as one of the planet’s last uncharted gems – and truly a place which would put Nathan Drake’s free climbing skills to the test. Join the intrepid climber on this dramatic and daring ascent, as Leo confides his motivations and why the spirit of adventure drives him to battle against the elements that endanger his very life.